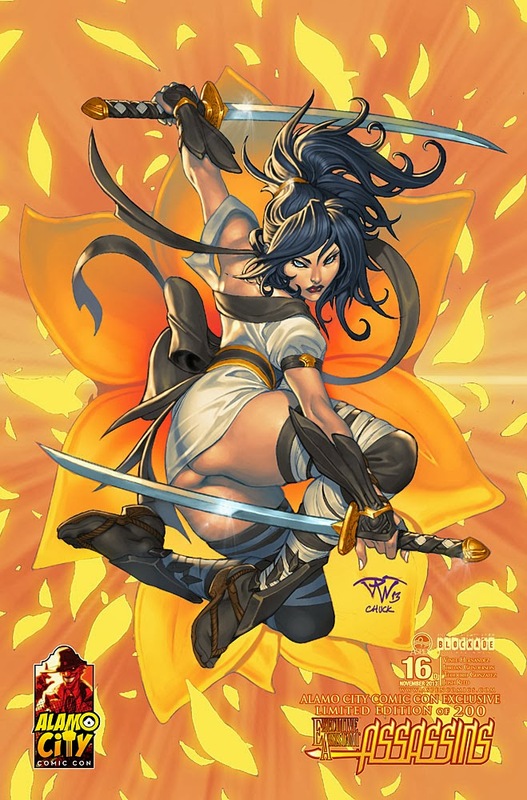 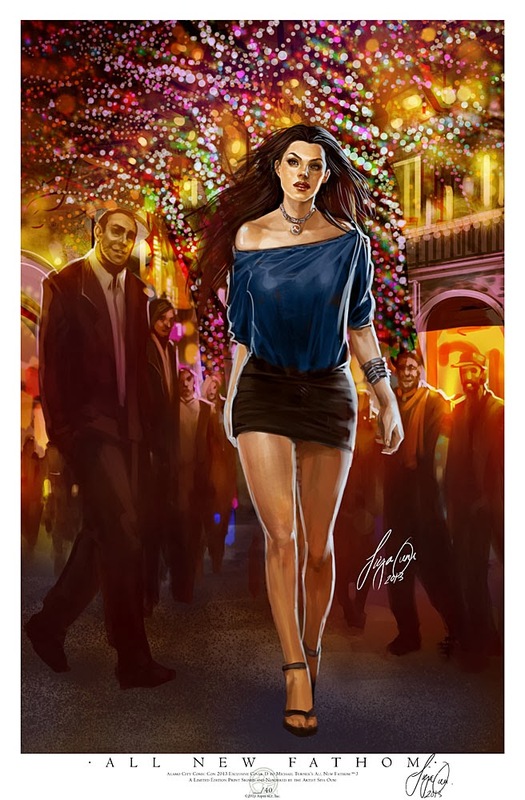 Aspen Comics is returning to Texas for this weekend’s Alamo City Comic Con 2013, and will be debuting several convention exclusive items along with several popular creators. 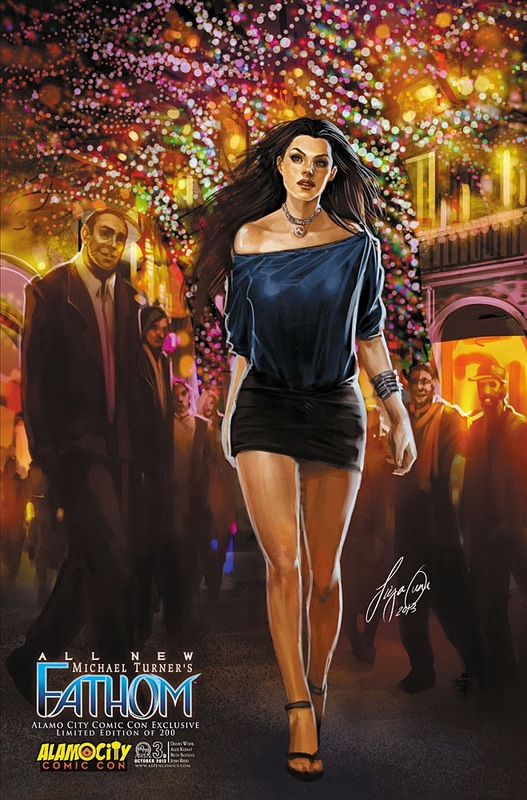 Aspen’s Frank Mastromauro (Shrugged, Overtaken), Vince Hernandez (Trish Out of Water, Charismagic), Mark Roslan (BubbleGun, Broken Pieces), Brian Buccellato (All New Executive Assistant: Iris, The Flash), and Paolo Pantalena (Jirni) will be appearing at the Aspen Comics Booth #’s B6, B7 and B8 throughout the weekend. 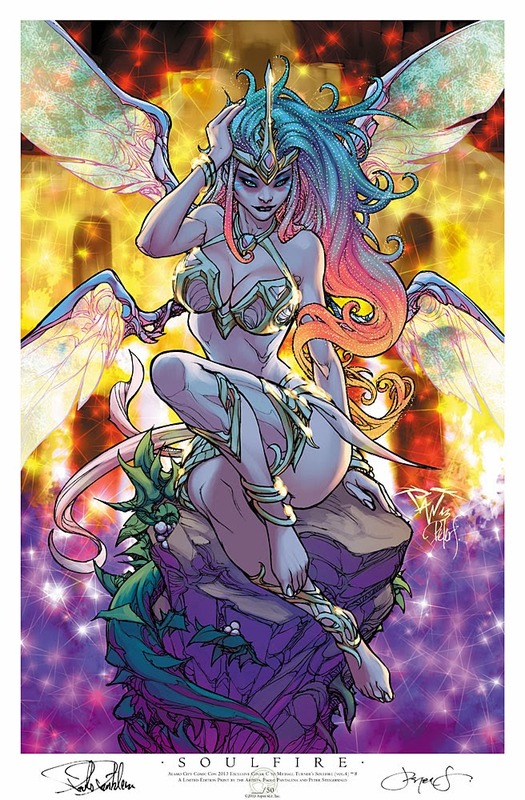 In addition to creator appearances, Aspen is debuting two convention exclusive comics at the show. All New Fathom #3 will feature a special Alamo City Comic Con cover by illustrator Siya Oum, limited to 200 copies. Aspen will also be offering an Executive Assistant: Assassins #16 ACCC 2013 cover by Pantalena and Chuck Pires, limited to 200 copies, a week early at the show. 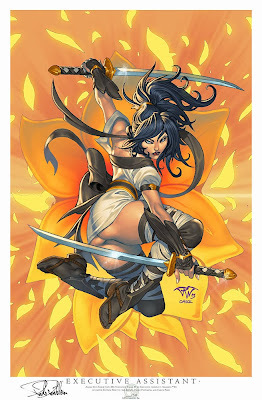 The publisher will also be a featuring a new release of their industry-leading art prints including the all new Aspen Tour Print ACCC Anniversary Edition by Ale Garza and Peter Steigerwald, limited to 50 editions, a ACCC Soulfire print by Pantalena and Steigerwald limited to 50 editions, a ACCC Executive Assistant: Assassins print by Pantalena and Pires limited to 50 editions, and an ACCC Fathom print by Siya Oum limited to 40 editions.